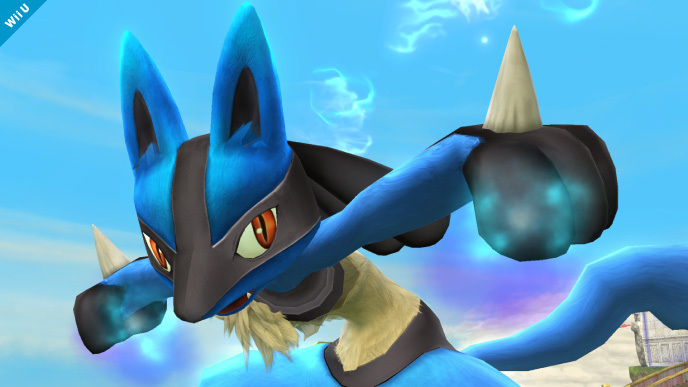 Lucario will be returning in the Wii U and 3DS's upcoming Super Smash Bros. title. It's been a seemingly random increment of time since the last Super Smash Bros. For Wii U and 3DS character reveal so I guess its time for game director Masahiro Sakurai to trickle down another morsel of information about the game. 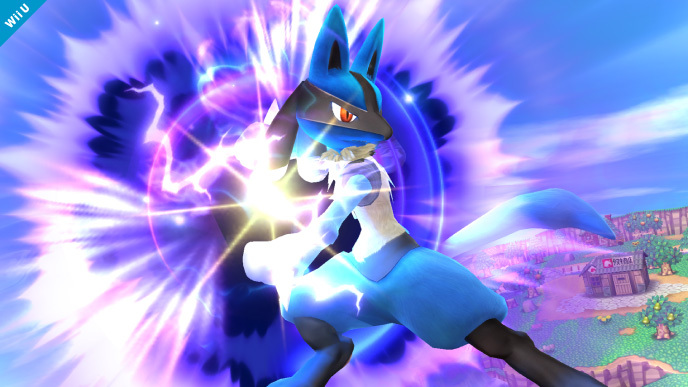 This time, it's the news that Lucario, the blue "Aura-Pokemon" who made his debut in Super Smash Bros Brawl., will be returning in the new game. 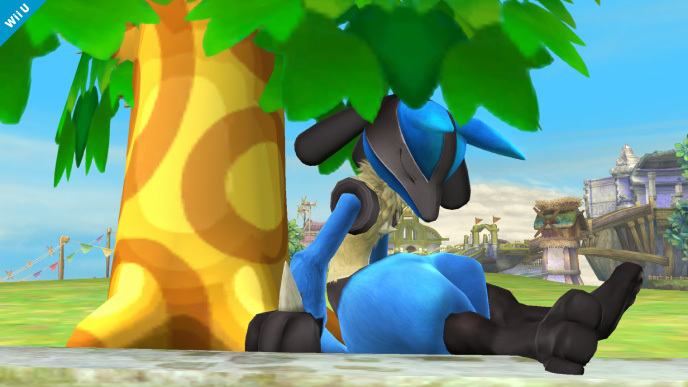 In Super Smash Bros. Brawl, Lucario was unique in that the damage and knockback of his "Aura" attacks were affected by damage percentage, as well as stock count in relation to its opponents'. Basically, his attacks grew stronger the more he was damaged. I'm completely stumped about this announcement. 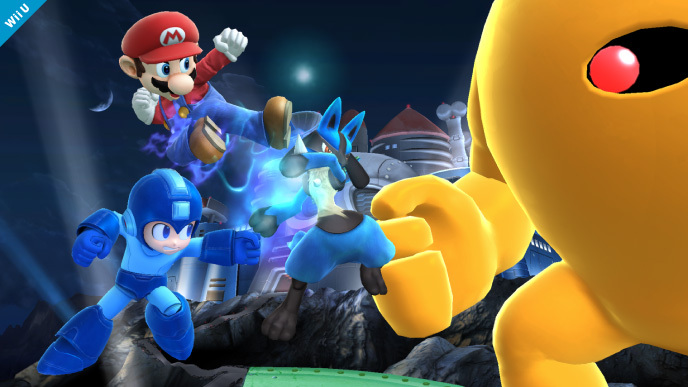 I thought I had discovered the pattern behind Super Smash Bros. 4 (and yes, I will be calling it Super Smash Bros. 4 from now on, because Super Smash Bros. For Wii U and 3DS is a ludicrously long name) character reveals - returning characters are announced surrounding a release of a new game starring them. 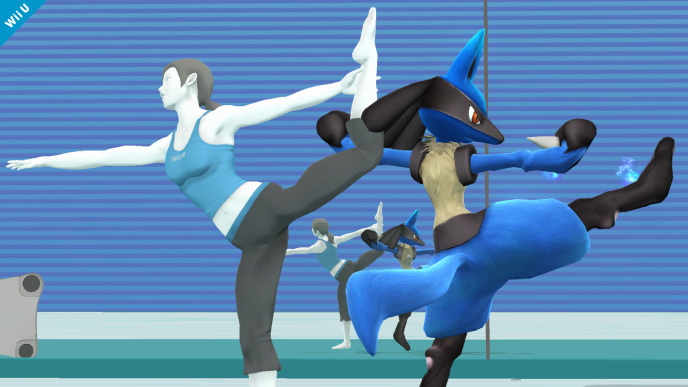 But Pokemon X and Y was released months ago! 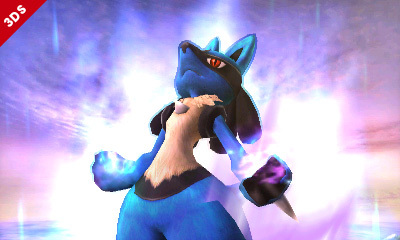 I wonder if Lucario's Mega-Evolution, which was introduced in the latest games, will make an appearance, perhaps as his new Final Smash? 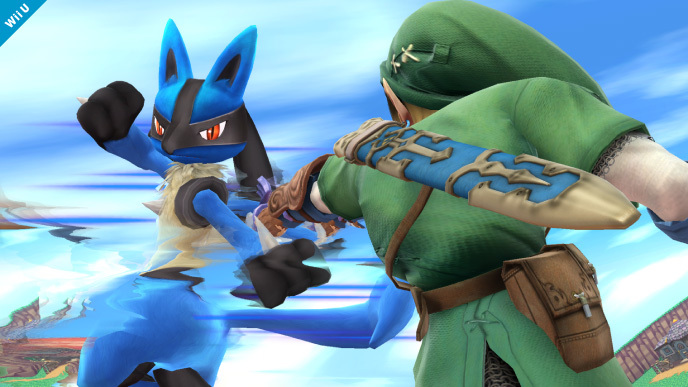 Are you happy to see Lucario return, or were you holding out hope that Mewtwo (whom Lucario seemingly replaced in the transition from Melee to Brawl) would usurp him?